The St.Croix Rim shoe is creased from heel to heel with softened outer edges and a slightly rolled toe. It is an excellent choice for traction, safety and durability. 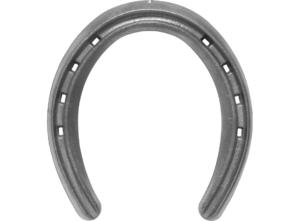 Featuring a generic pattern, the shoe is easily shaped for a front or hind foot. This shoe is punched for a CH5 nail.